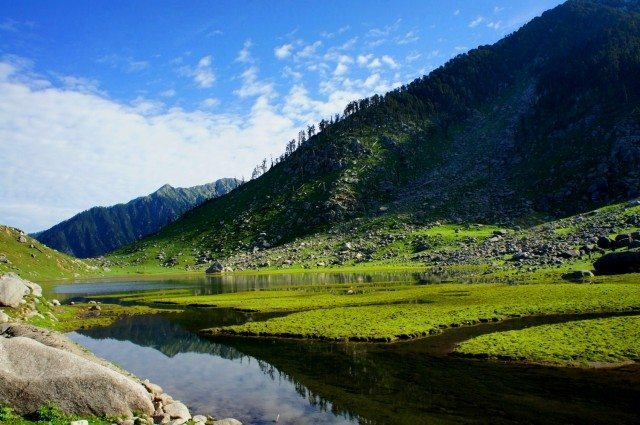 Kareri Lake ~ a poetic trail - Ghumakkar - Inspiring travel experiences. Natural lakes to me are the songs of mother nature which she sings in her different moods with different flavours and different notes, but the melody always remains the same, sometimes low sometimes high. So this time again, I ventured on a solo wandering into the mystical land of Himachal Pradesh to relish these sweet but lesser heard melodies. Choices were many, but time was limited, so I had to look for something which I could do over the weekend. Kareri Lake in Kangra had long been on my radar and it seemed to be the best option for my weekend plan. 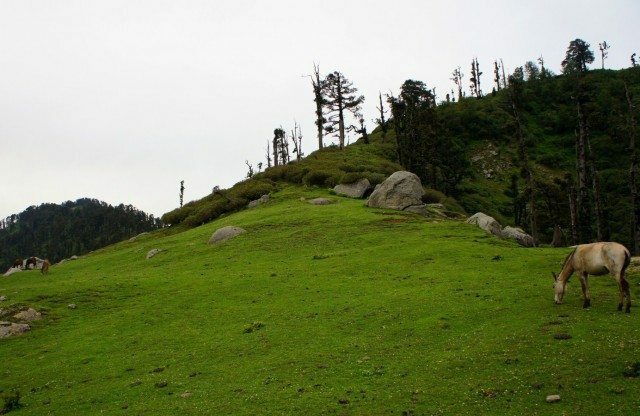 But since it was rainy season, it was not at all advisable to go to Kangra as it is deemed to be the place with highest rainfall in Himachal Pradesh. But the itch was so strong that I decided to overlook the weather. However before leaving I did check the weather forecast and it showed that it would rain heavily on Saturday and Sunday (the two days I was going to be around) with thundering and the weather would be fine on Monday (the day I was supposed to be back in the city). 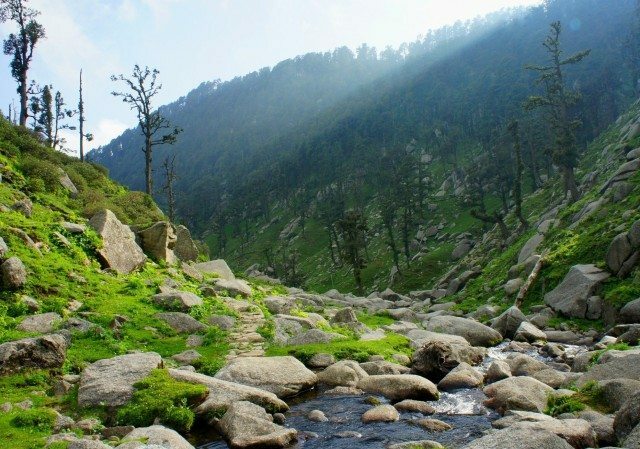 The plan was quite simple…Leave Friday night for Dharamshala ex Delhi, trekking and camping overnight at Kareri Lake on Saturday under the star studded sky and return back to Delhi on Sunday night. So I left for Dharamshala by a pre-reserved bus from Delhi on Friday night that got me to Dharamashala the next morning by 6 am. The weather was looking to be nicer, but very unpredictable. 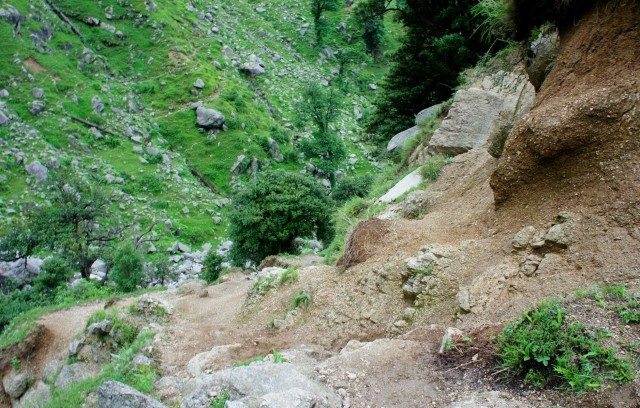 There are various routes to reach Kareri Lake (approx. 2934 Mtr) and I chose the most conventional route via Ghera Village (1306 Mtr) and Kareri Village (1746 Mtr). 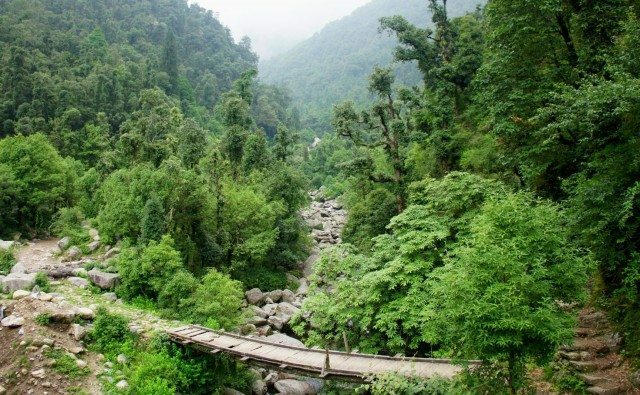 There are buses available to Ghera Village (nearly 20 kms) from Dharamshala at intervals from where the trekking to Kareri Lake starts. While I was at bus stand, I checked the bus timings to Ghera from locals and it was advised to be arriving by around 8 am. So it was a good hourly break for me to freshen up and to chance upon some light breakfast. 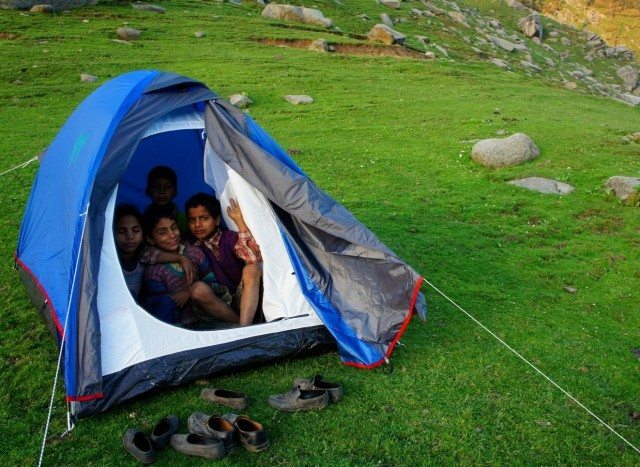 It was going to be a long day of walking as I had decided to camp overnight at Kareri Lake. Kareri Village is around 3 km walk from Ghera Village and Kareri Lake is further 14 km from here, so in totality it was going to be around 17 km uphill trekking this day. As soon as the bus arrived, I took my favourite window seat to enjoy the views outside. Though it was just 20 km journey to Ghera Village, but it took us around 2 hours as the roads were intermittently damaged majorly due to rains. Since there are no shops at Kareri Lake, my concern on reaching Ghera was if there would be any provision of food at the lake side. The answers from locals were confusing, so I had some light brunch and packed some light eatables for the way. Now I was temporarily a bit free from any worry except the weather which luckily was still looking good. Without wasting any more time in Ghera, I started making my way towards my destination for the night. On the way, I caught hold of a local forest ranger who was going to Kareri Village. He proved to be very helpful in providing some information about that area and also offered me to stay at Rest House at Kareri Village. 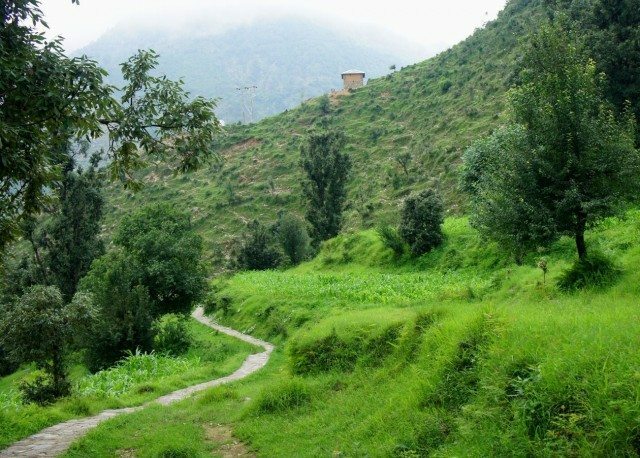 The trek to Kareri Village is majorly uphill and fairly tiresome at some stretches if you take the shortcuts through jungle. Since I had to reach Kareri Lake before sunset (expected plan was to reach there by 6 pm), I did not touch my camera at all. I was sure if I the cat is out of the bag, I will not be able to reach Lake before sunset. The village seemed to be comparatively bigger than what I had imagined it to be. While I was taking a resting halt at Kareri Rest House, it started drizzling a bit which prompted me to leave the place and to proceed further. After crossing Kareri Village, I was all alone just with a little drizzling. I was very excitedly moving ahead. And looking at the kind of views mother nature was presenting before me, I could not stop myself capturing those moments. After walking for around ½ hour on road, I reached a place from where the road was going upside crossing a bridge. Ahead it was going to be a jungle with confusing two sided trails at places as advised by locals, but the mantra was “just follow the stream coming down and stick to the way onto your left side”. While I was lost in the melodic charm of mother nature, there came such a confusing way leading to two different sides, initially I was in a dilemma where to go. But soon I remembered the golden mantra and chose the way crossing the stream towards left. The way this side was going up and up and the stream was now getting out of the sight. It did create a doubt in my mind for a moment about my choice, but then after a bit of tussle I kept my feet moving on the same path. 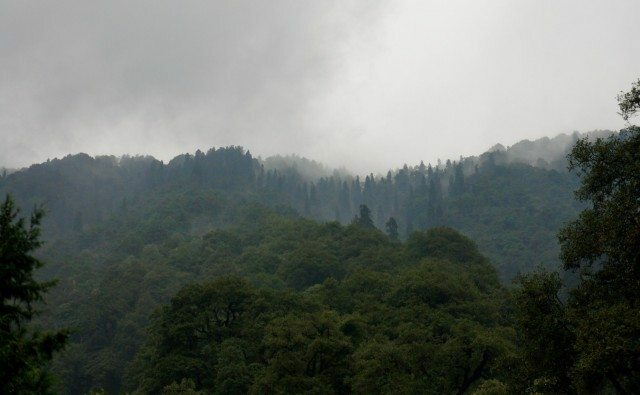 Passing through the dense oak, pine and rhododendron jungles, it again started drizzling and not a single soul was at sight for miles away. The wavering clouds and the density of forest were giving me a feel as if it was already evening and I had barely covered 6 kms of way. But very soon, the closed jungle seemed to open up bringing a whip of fresh crisp mountain air and an energetic feel. 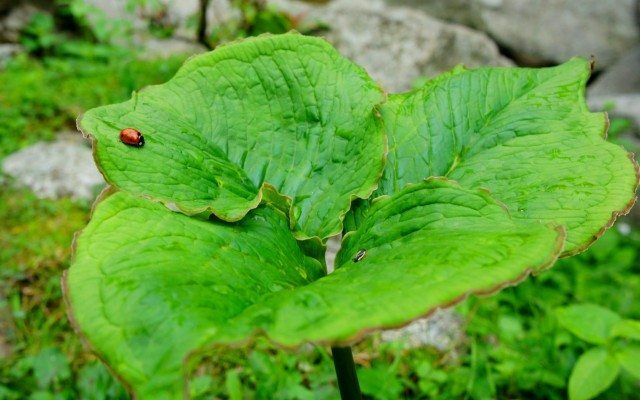 The recent drizzling had brought along a new look on the attires of mother nature and the leaves were shining so fresh and looking so lush green. After walking a bit further, I could hear the roar of the stream again which was an indication that I was on the right track, I was elated to witness this. As the jungle was opening up and hill tops were looking to be nearer, I could make out that I had covered nearly half the way. The weather too had taken a sudden pleasant turn with comparatively a clearer sky. Nature had started casting its spell on me and I was enjoying this surprisingly beautiful journey with the sound of the lapping stream and fascinating flower beds where many a times these colourful birds would come and play around without letting me capture them. I was now walking non-stop keeping a watch on the time. Till now I was surviving on the brunch that I took at Ghera in the morning. But now, hunger and tiredness were taking its toll. 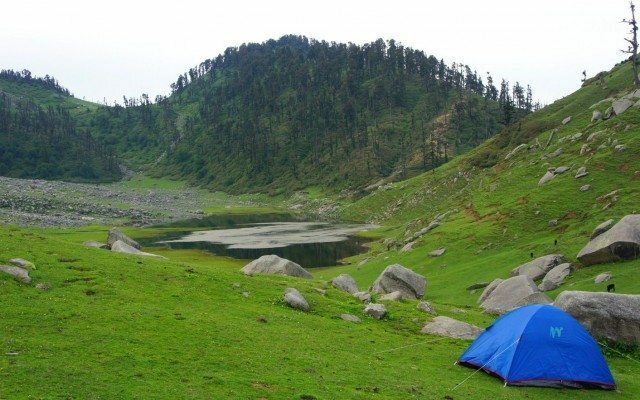 At one place, I found a very good camping site before the lake and thought to camp there, but then the charm of spending night near the lake was constantly floating in my mind and I could not afford to miss it. I finally got to see some rural folks in the jungle after a long walk, they advised that the Dal (locals usually call Kareri or other lakes as Dal) was nearby now, so with their encouragement I kept walking. Before I could loose my senses and collapse, I met a boy who informed me that Dal was just beyond the coming hill, I mustered courage and finally a patch of glacier was in view indicating that it was flowing down to lake, I was surely delighted to see this and wanted to have the glimpse of the lake as soon as possible. The dragging feet got recharged all of a sudden and I was happily heading up the hill. I looked at my mobile and it was just 5 pm, I had made it before my expected time…! But the lake was still like a newly-wed bride under the veil, I had to make a final stretch going up before I could unveil its beauty. Mesmerized I was…to feel it in all its glory shimmering before the setting sun, the lush green grassy meadows with smoking clouds were just adding colours to the canvas the nature had painted before me. Deliriously amazed I was for some time…gazing at this marvelously serene beauty. 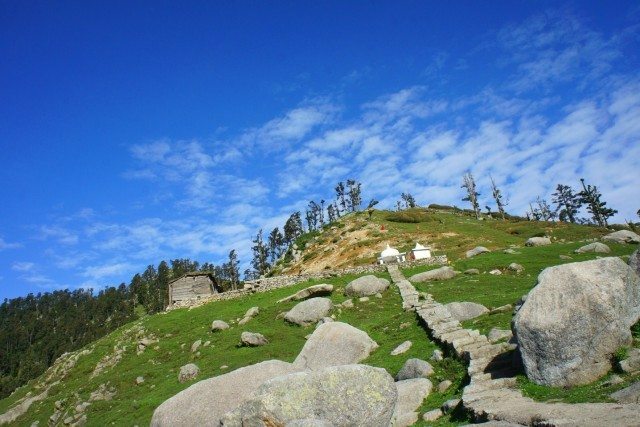 There stands a Shiva temple up on a hill with concrete stairs directly leading down to the lake. 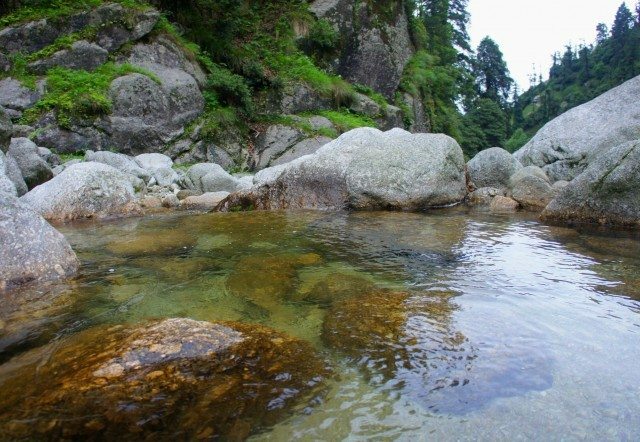 I did not learn much about the mythological significance of this lake, but like other lakes in Himachal, this one too is a sacred one and is frequented by the local pilgrims. From the top of the temple, you spot some little cheerful and colourful souls running around on a green carpet that mother nature has spread near the lake. This looks like a wonderful camping site for the overnight stay. 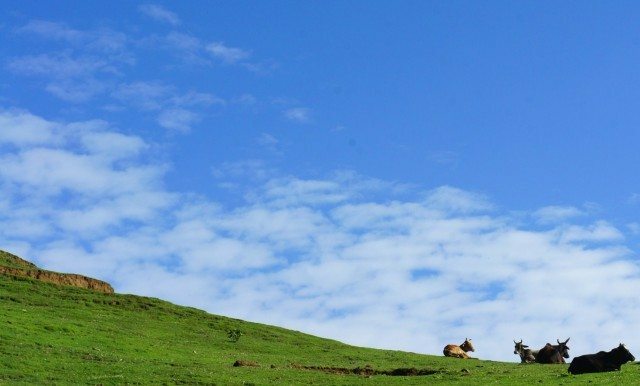 Fascinated by this marvelous sight, you rush towards the greener pastures where you find a bunch of cute and friendly gaddi kids playing with their goats, sheep and cows. Life seems to stand still here for a moment, everything looks like a dreamland so beautiful and so magical. Your presence near the gaddi houses makes you a point of curiosity and fun for the kids. They stare at you for a moment and then whisper in one another’s ears and then laugh heartily and you give them a smile back and accompany their laughter which helps breaking the ice a bit. But you still are a foreigner for them trying to intrude in their territory. You start taking their photos and they happily pose for you. You further take advantage of this situation and call them and request them to click your photo. Seeing the camera, one of the kids comes near to you. You teach him how to handle it carefully and how to click the photo. Just the sound of ‘click’ from the camera makes him super happy and he seems to be all set to shoot like a pro. You remain near him for a few clicks and then let him take the photos of his friends who still hesitate to come near you. But after a click or two, rest of the kids are excited too and suddenly all of them surround you to have a glimpse of their photos. 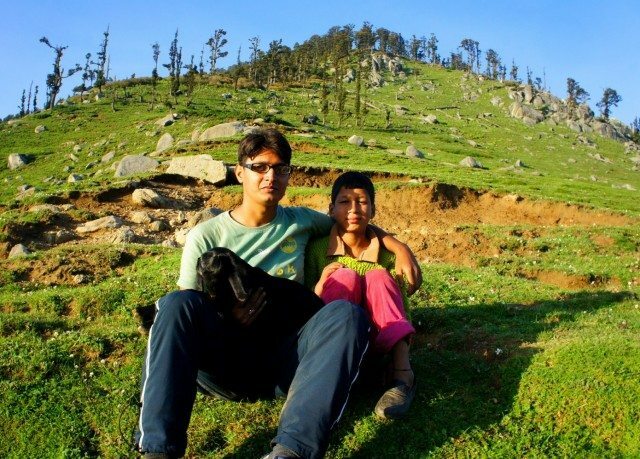 They are so happy to see themselves frozen merrily in this little box, so your camera again helps you making friend with these lovely gaddi kids who narrate you their beautiful stories. After a while, your hungry belly brings you back from this dreamland. 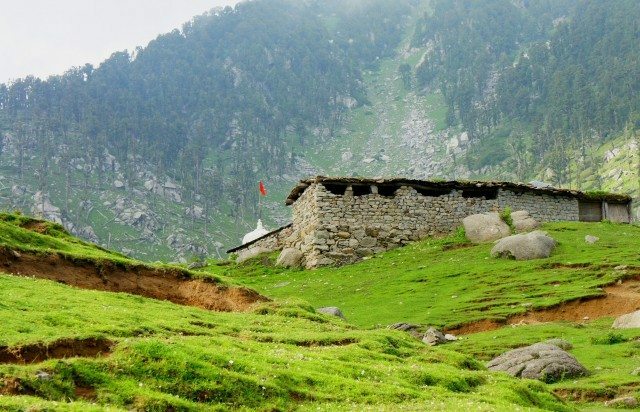 You go to a gaddi hut nearby, they offer you some hot tea made from pure cow milk, it tastes like heaven, so refreshing. You only have biscuits and some namkeen as your dinner, you enquire about some real dinner and they happily welcome you to be their guest over the dinner for tonight. They also check with you regarding your sleeping arrangements, but you are here for camping and you inform them of this. Their expert advice to you is to sleep in their hut as it gets very cold outside in the night. Also you don’t have any mat or even a blanket with you to protect you from the cold in the night, the only protection is a bedsheet that you intend to use as mat and blanket both. But you remain persistent with your decision of spending night near the lake in the camp humbly refusing their offer. But they know it all since this entire land belongs to them, so they give you some more options to protect yourself from cold just in case. They give you a blanket and most importantly they offer you to knock at the door anytime you feel cold and wish to sleep inside the hut. You are overwhelmed by their kind gestures. They advise you to pitch the tent near the hut while the dinner is getting cooked. Your friends follow you and help you in preparing your bed for tonight and what a wonderful team work, the tent is ready in few minutes! It’s around 7:30 pm and there is a call for dinner. As you enter the mud hut, the fragrance of the smoke from mud stove reminds you of your village…a plate with a layer of chapatis and a delectable locally grown hilly vegetable is eagerly waiting to tickle your taste buds. While your mouth is busy relishing the delicious food, your other senses too are at work. While observing, your eyes suddenly take a halt at a rifle which is lying in a corner, the signal goes to mind and a very obvious assumption takes birth. To clarify you check with your host if it is to protect themselves from the wild animals in this area. The answer comes ‘no’, a question is fired at the host ‘so’? The answer flows ‘it is to hunt some smaller animals for food’. Though you are totally against any sort of animal killing, looking at the kind of harsh conditions these gaddis live, you prefer not to argue with your generous hosts on this. 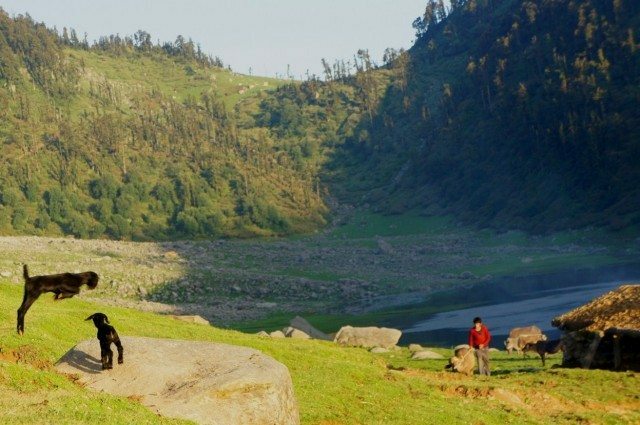 After having enjoyed one of the best dinners of your life, you wish to enjoy a sound sleep after a long tiring day from Dharamshala to Kareri Lake. Before retiring to your bed, you do enjoy the amazing star studded sky teaming with twinkling stars for a moment. A very cool breeze outside and heavy tired eyebrows are enough to push you inside the blanket. You go inside and try to sleep, you fall asleep for a while. But the cold start showing its affect on you and you start shivering, but you somehow manage the cold with the help of blanket. But then in between, it seems somebody is constantly trying to pull or to push the tent with some very strange voices. You take it to be some wild animal. Suddenly a sort of fear creeps in and all the stories that you have heard of wild bears or some other wild animals attacking the tent start flashing in front of your eyes. The combination of the strange growl, constant pulling/pushing and the cold would not let you take a sound sleep now. You wish, but you cannot dare to peek out of the tent to see who that animal is. You feel you have had the same experience before…oh yes, it was like the same sleepless night that you spent on a machan during annual animal census at Ranthamore National Park. The feelings were almost same full of excitement, but you were enjoying animal sightings at Ranthambore and here probably they were enjoying you. Between all these moments of excitement and fear, you could take some intermittent sleep which was enough to relax your exhausted body. 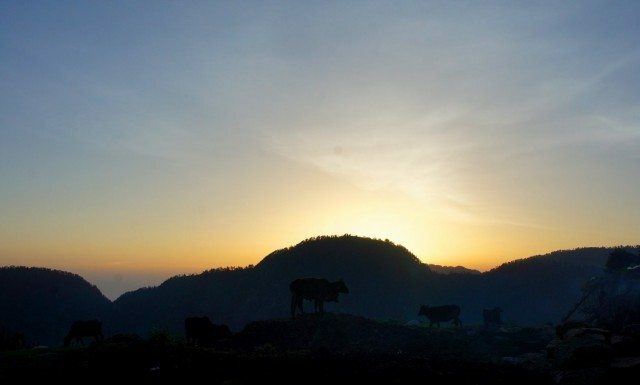 The dawn breaks and you finally dare to peek out of the tent to pleasantly witness a bunch of goats, sheep, some cows and horses munching on their green and healthy protein rich breakfast. You laugh at your fear of wild animals of last night for a moment and then come out to explore the morning glory and added charm of the lake painted with a different colour by mother nature during this time of the day. You set out on a short morning walk around the lake to experience its charming beauty from different angles. On the way, you encounter some friendly buddies who are a part of this magical painting. 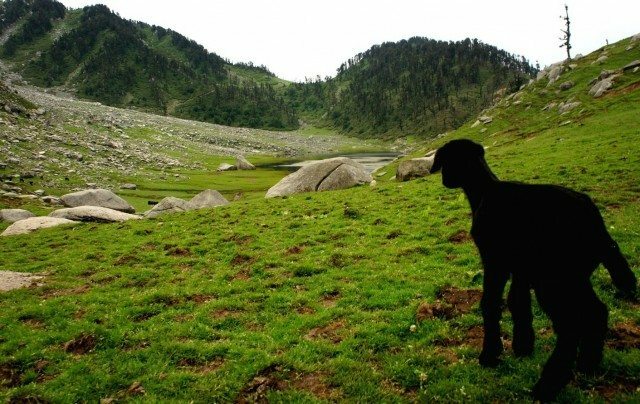 Almost an hour’s mesmerizing walk through the gardens of heaven brings you back to your tent where you again meet your friends with their friends, you play with them for a while and adore these lovely baby goats. You are again called for a morning tea, wow! While enjoying the refreshing sips of the tea, suddenly you get a reminder that it’s a Sunday and you have to get back to your concrete jungle by tomorrow morning for work, you rush out and again seek the help of your friends in dismantling and folding your tent. Really touched by the selfless friendliness and generosity of the gaddis, you bid a warm bye to this wonderful lake and its amazing inhabitants with a promise to come again next time for venturing out across Minkiani Pass into Lam Dal area which is again a wonder waiting to be explored soon. While trekking up yesterday, this entire area seemed to be still untouched by the flock of tourists testifying to this were the least material footprints of us so called ‘modern civilized human beings’ who care more about their fun and entertainment playing with the purity of place and do not even shy away from polluting such heavenly places. So crisscrossing your journey backwards enjoying these lovely trails, you decide to take back whatever little your fellow human beings have left here to impure this charming little heaven. While you are picking up some of this stuff, you again meet some gaddi kids going down and you befriend them to join your bandwagon. Once they know why you are doing this…a lollypop, a bit of lecture and some photos do the trick here and they become your eco warriors. You try to inspire them to keep this land as clean as they could with their efforts. You see them throwing the wrapper of the candy after gulping it in and you remind them then and there and they instantly realize and pick it up and throw it in the garbage pack that they are carrying…you see a bit of change happening! You learn some of their interesting stories and tell some of your stories picking up the garbage whatever little we could encounter and the distances seem to have disappeared. You started at around 8 am in the morning and by 11 am, you seem to have covered around 10-12 km, enough time to get back home! You say good bye to your eco warrior buddies with a smile and some biscuits. 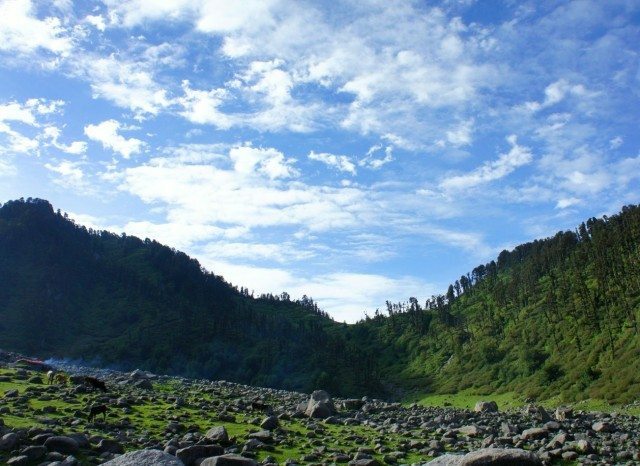 People had advised you to take a different route while going back as there were more options from this place (you forgot the name of the place, probably Nora or Kutharna) to reach Kangra or Dharamshala. 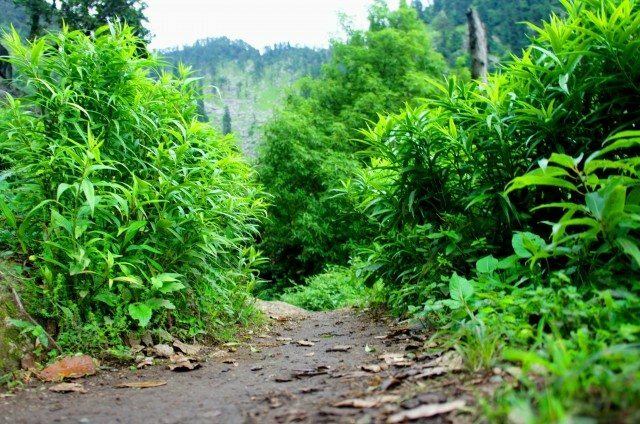 You always prefer to take an alternate route on such wandering, so it was great exploring a new way through some villages and beautiful jungles. 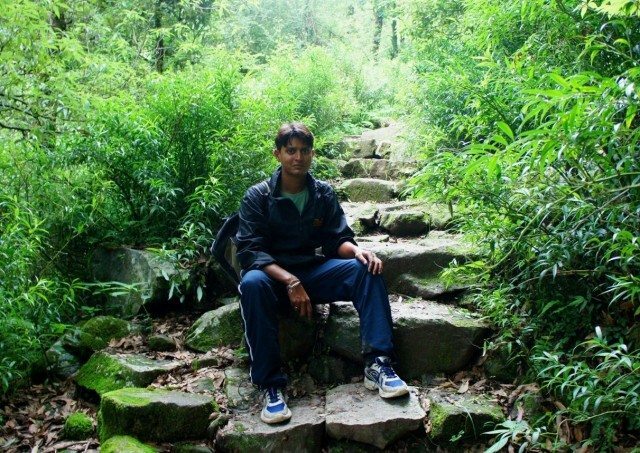 After almost 2 hour’s walk, you reach the place (probably Kutharna or Nora) where you are supposed to get a bus for Shahpur (on Kangra-Pathankot route). As per local folks bus is about to come, weather starts taking a turn and suddenly it starts drizzling. While waiting for the bus, you wish to enjoy the weather with a hot lip smacking hilly Maggie which is made on order. The camera again goes back to the bag not to come out again on this trip. All of a sudden people start rushing out of the shops in that drizzling running towards a bus that has just landed in the village. You too make your way towards the bus to grab a window seat with a good view. Winding through the hilly bumpy roads, you arrive at Shahpur and see a bus going to Kangra (around 20 km from Shahpur), you waste no time in jumping into the bus and catching a seat. You are delighted to reach Kangra bus terminal between 3-4 pm as you think that you will reach Delhi in time and will take some rest before rushing to office. Since you had no prior reservation for return bus to Delhi, you go and check the ticket window for the next bus going for Delhi, but to your surprise all the buses are running full tonight and there is not even a single seat in any of the buses. You meet some other disappointed people who have to go to Delhi/Chandigarh. Now you repent on your decision of not reserving seats back to Delhi. You check out seats on internet from some other nearby stations like Dharmashala, Palampur etc. Luckily you get to see a seat in a bus from Palampur, you instantly get onto a bus ready to leave for Palampur and ask your brother to book this seat. After the bus has left for Palampur, you get a call from your brother ending the possibility of reaching Delhi the next day as that lucky single seat has already been occupied. On reaching Palampur, you see a number of buses coming from Joginder Nagar to Delhi but all full. 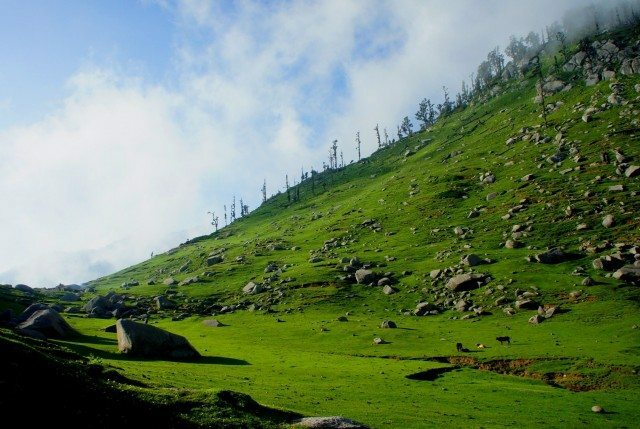 You have no option but to stay overnight in Palampur. You book a ticket for first bus to Delhi in the morning and go to a lodge for overnight stay at least for a sound sleep after such a rush. Next morning you get up early to catch your bus and reach Delhi in the evening enjoying the hills on the way. Wow, what a relief…you have a sound sleep at home now before rushing to office the next day! Mesmerizing!, the very first expression comes to mind as you start the post. It is always a difficult task to write on a comparativly new area as reader takes this as a guide and make his observations solely on that account. You scored full marks on it. Hats off! The description of this beautifully lake is amazing. The content is excellent. Your encounter with Gaddi boys was awesome. After the mid of the post to till the end, I was wondering for a strange and refreshing Nirdesh Singh style. All in all a great post, which probably the last post of the year. Thank you Avtar ji for your generous words! Yes, you are right…the second part of the tale had influences from Nirdesh bhai’s multiple wonderfully crafted posts…i realized it once the post was over…this post was written a couple of months back while i was glued to his posts…& later his company in many of his Delhi explorations…:)…Happy New Year! Dear Vipin….no words to praise……..Buck…up n continuous……it…….i m over addict of this site after going through last year……now in this winter vacations i m reading posts one by one…though i travelled a lot but i coudn’t convert in writings.Thanks a lot Dear to u once again n to Nandan also for managing n maintaining such a beautiful site selflessly. Thank you Dr. Gandhi for taking out time to go through the stories & encouraging! Look forward to hearing some of your tales here soon…Happy New Year! Kareri is indeed poetic, melodic and magical! And you my man are an incorrigible ghumakkar! Walking alone on trails, sleeping with probably a fierce bear grunting outside the tent and armed neighbours for company – something you will need to hold a gun to my head for me to do. Gaddis seem to be a nice bunch of people. Such people and landscape can only be experienced miles away from the beaten trail. Lovely post with equally lovely dewy fresh photos. I have a feeling you brought back one of the goat kids with you. The cat is pretty good at taking photos! 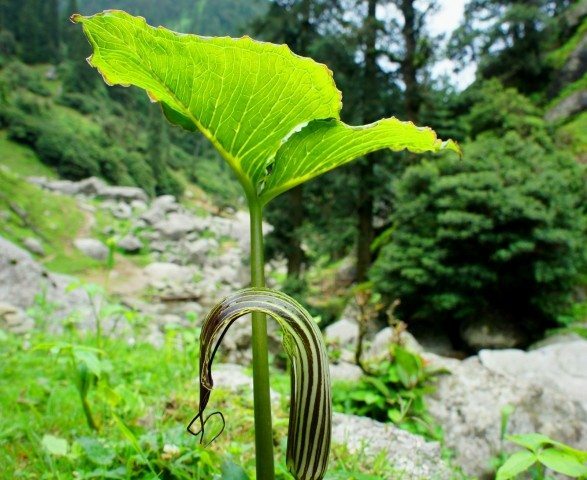 I was a fan of your fotos… and with this post I have become a fan of your poetic writings too… Vipin… simply fabulous.. !! Thank you SS Saab for your encouraging words. Wish you a very Happy New Year & hope to see you next time you are around! yes it was a poetry and a very beautiful poetry.photographs are simply superb.great post congrats. Happy new year to you & all Ghumakkars ! Thank you Mahesh bhai & Happy New Year to you & your family too! I agree with Avtar’s observation about the writing style. Guess, all of us get influenced by all the good things happening around us. Once I read Roopesh’s take on Swiss Lugano, it is time to work on the digest. Thank you, Nandan bhai for liking the post! Hi, as mentioned above can you please give me your contact number and help me out for this track. 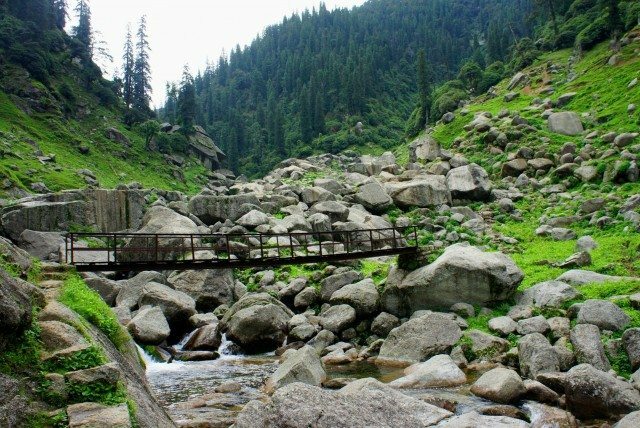 I know it has been more than a year since you completed this beautiful sounding journey but yours is the most informative blog I’ve found on Kareri Lake till now. 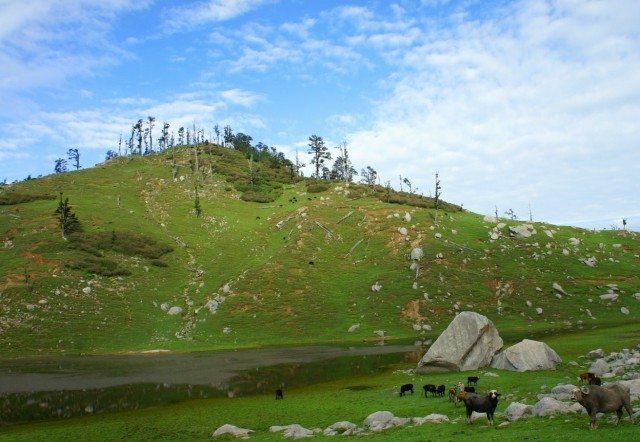 I will be travelling to Kangra soon and wanted to trek to the lake from there. Please tell me if you can help with my questions via mail or on the phone. We are 03 friends planning for this trip from 1st of Oct -4th Oct 2015, starting from new delhi on 30th sep 2015 . Can you help us with some information as you have already done this trek . 1. 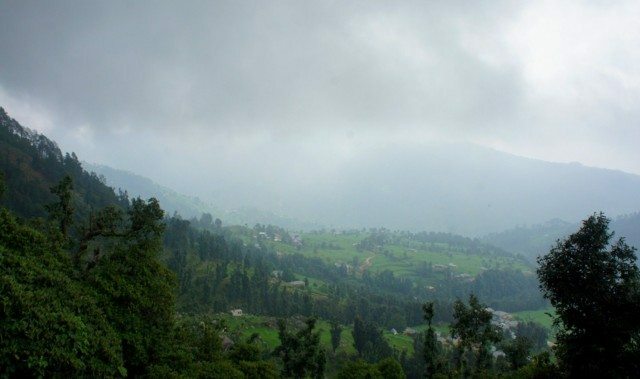 Is it better to have night stay in kareri village or nahauli village on day one . 2. 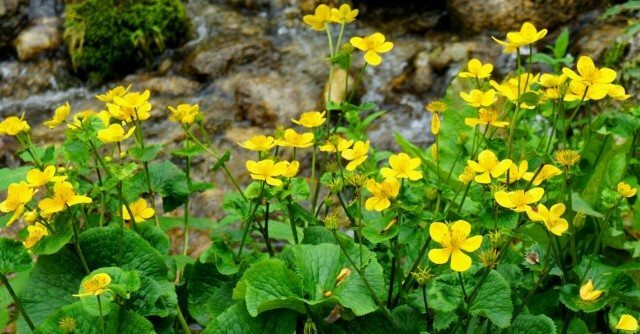 Do we have mobile network in kareri village or kareri lake. 4. 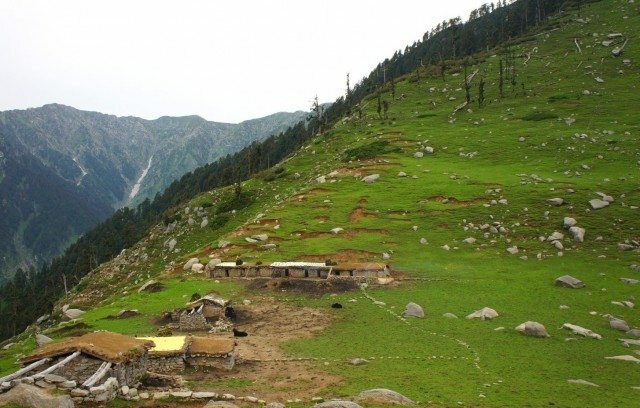 Is there any option to stay in Gaddi Huts at Kareri Lake.